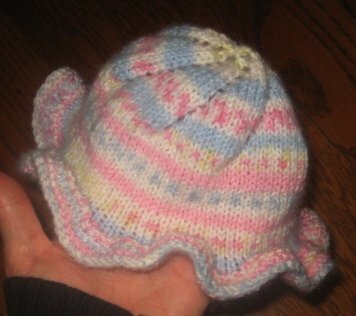 Once Dan's socks were finished, I wanted to knit a baby cardigan to match the hat I gave my DIL for Christmas. 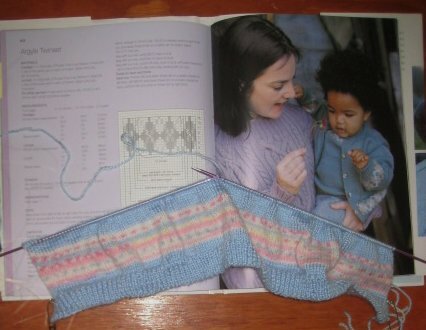 I wanted to use the same self-striping yarn with a solid, and found just the pattern in Debbie Bliss Celtic Knits. This is the from the Arygle Twinset on page 62, but I'm using the self-striping yarn instead of doing the stranded argyle knitting. It's a little quicker and will match the hat! Well, it won't match perfectly because the self stripes weren't intended to be worked over this many stitches. 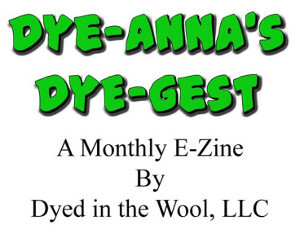 The only problem with my idea was trying to match a solid color to the multi-color yarn. I looked for something in the same line by the same manufacturer, but nothing matched! Neither pink nor blue, and I didn't want to go with white. I settled on another brand of blue, same size, but a better color match. I've got about a month before my granddaughter makes her debut, but this is knitting up quickly. It will be too large, and I can only hope that she'll hit this size at a time when she can use a sweater! I'd love to do some baby weaving too, but with our house in a constant state of remodel/repair, my yarns and supplies are still packed away and spread out over several rooms. It's frustrating, but it's the way things are. Leigh, That is a really pretty yarn you are using. And, a baby sweater is such fun to knit. Are the goats for milk or yarn??? I knit a sweater for a young lady who arrived in January. Since I knew from her mom that she was a big baby, I knit a 1 year old size. I think she'll be able to wear it this fall too! I really like knitting baby sweaters - they're fast, and they give you a chance to try things out on a small scale. I love the idea of using self-striping yarn! The sweater is sweet and that should it's main characteristic. Smart way to make quick progress, especially with your deadline. The sweater is looking good! Parents always find a way to get their children to wear handmade things, even if it is only once. What a lovely sweater!!!! I'm sure your grandbaby will look so cute in it. Lovely little sweater, nice to work lots of love into those stitches! Interesting idea - what to knit for goats!! If I have difficulty falling asleep I'll use that puzzle to get me off to sleep. I love the sweater - it's so much fun to have a grandchild! Unfortunately for me - my granddaughter has other aunts who knit or crochet + friends of her parents! I like the idea of using the self striping yarn for a creative change in the sweater pattern, and I can really appreciate the simplcity of it too. I've not done any stranded knitting but I can tell it's really time consuming. Love the colors they're sweet for a baby.